GM Canopies offer a comprehensive service which includes company branding and bespoke designed graphics. The Vitabri V2 canopy roof cover range are designed to be attractive, functional and robust. Roof covers are available in Fire Retardant PVC and are durable and maintenance free. A wide range of advertising options are available on the V2 roof covers and side sheets. Self locking straps are available on all roof covers. The straps are user friendly when removing the roof cover from the frame for maintenance or cleaning. Roof covers are 100% waterproof because Vitabri welt the PVC seams. Two inch velcro is used on all side sheets and roof covers for extra security and easy installation. Vitabri source only the highest quality fabric and alloy structures. Vitabri canopy range is one of Europes leading canopy manufacturers. 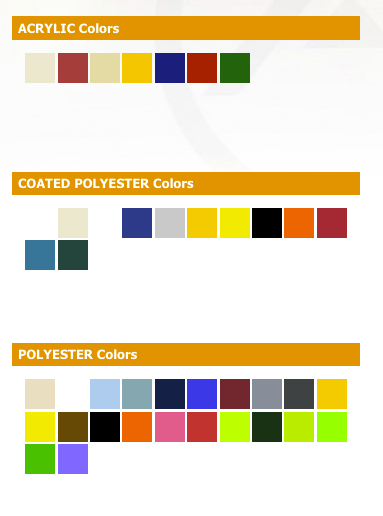 White, black, blue PVC; red, yellow acrylic; green, grey polyester… An infinite range of materials and colors. Looking for originality or simplicity? VITABRI offers you the choice… To own a Vitabri is to own a unique product that goes with your image, without compromising on creativity. The V2 is a premiere canopy with heavy duty castors and a gas lift erection system that installs the canopy in an instant.